I would tell you where I got this recipe but my copy is a mess and any reference is long gone. The first thing I like to do before cooking a meal is to gather and prep all of my ingredients. 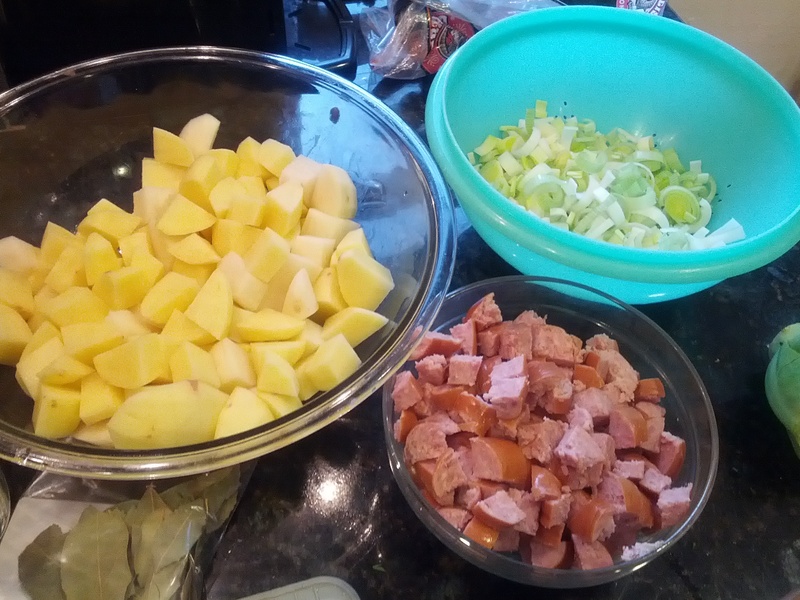 I do some of this prep earlier in the day if it is a meal that may take longer and I want the meal to go together quickly when it is time to cook it. 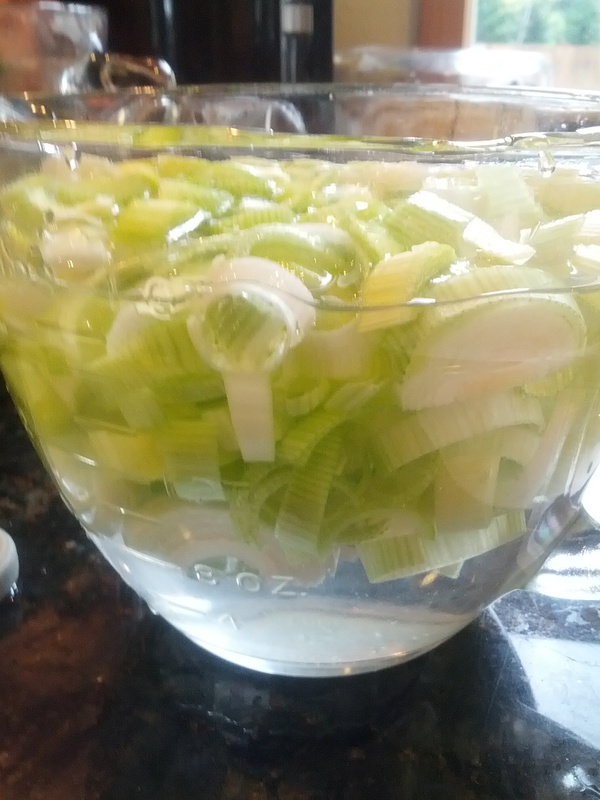 Leeks are wonderful! I love their mild beautiful flavor. However, they really need to be cleaned before using. They are really easy to prep. You can save the dark greens for making soup stock, add them to a stir-fry, or put them under chicken or fish when cooking to add flavor. Cut off the root end. Slice the light colored parts in half long ways. Then slice them across the grain into thin strips. Put them in a large bowl filled with water. Swish them around. They will float to the top and all of the sand on them will sink to the bottom. Scoop them out and let drain. Now they are ready to use. 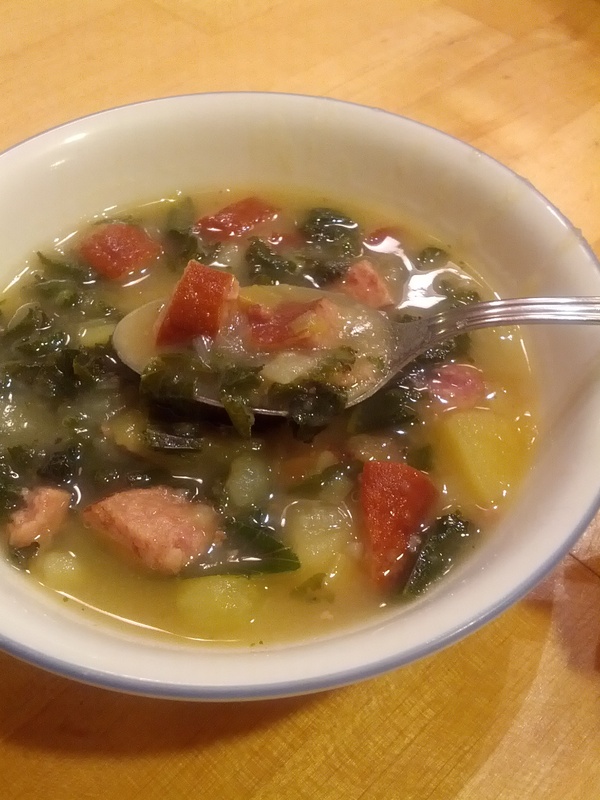 Kale is a wonderful green in this soup. It is one of my favorite parts. 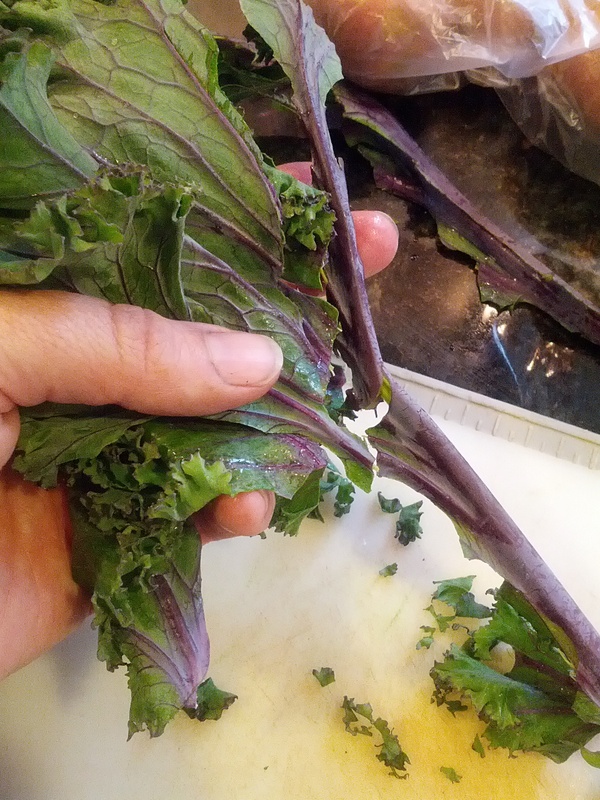 Rinse your kale and separate the leaves from the hard center stem. The center stem is hard and more bitter than the rest of the leaf. 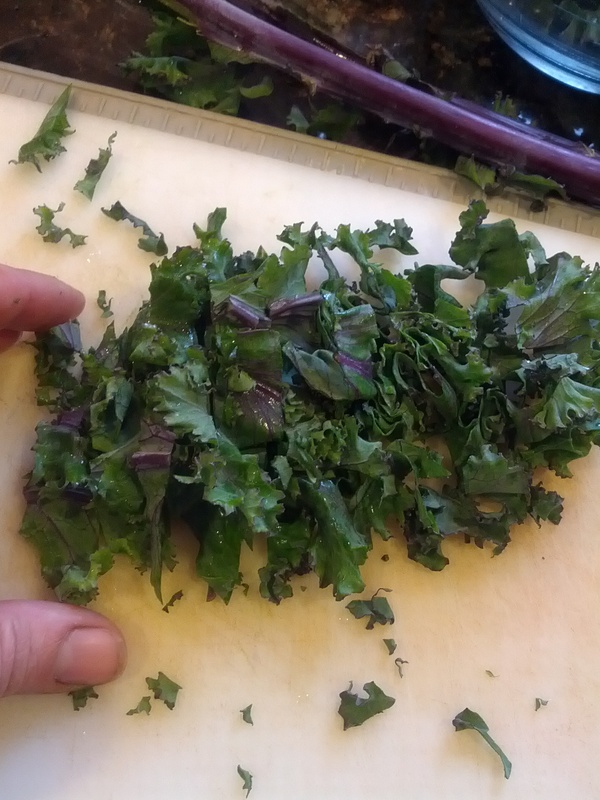 Roll up the leaves in bunches and cut into thin strips. but it will wilt and become smaller once the soup is done. Now that I have shared a few tips…. Here is the recipe. Hope you try it out and love it as much as I do. 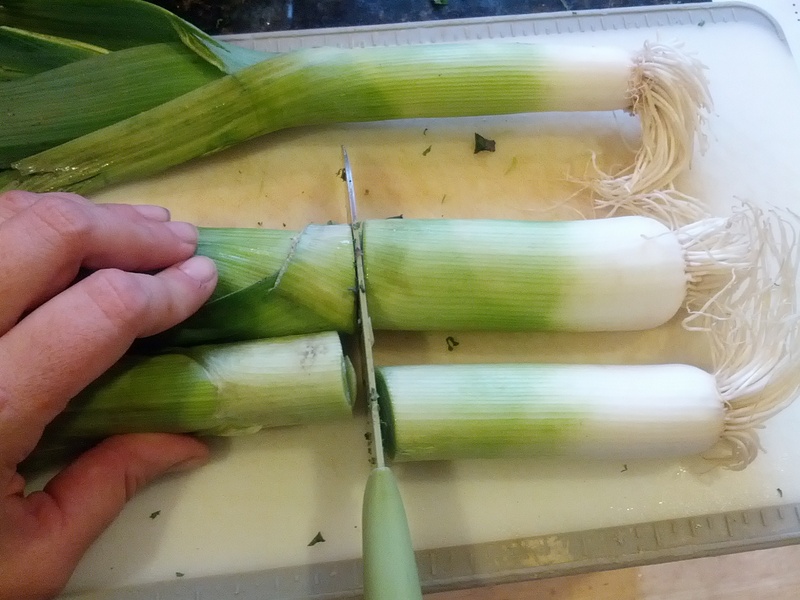 2 large leeks, white and light green parts only, cut in half lengthwise, then sliced thin crosswise. 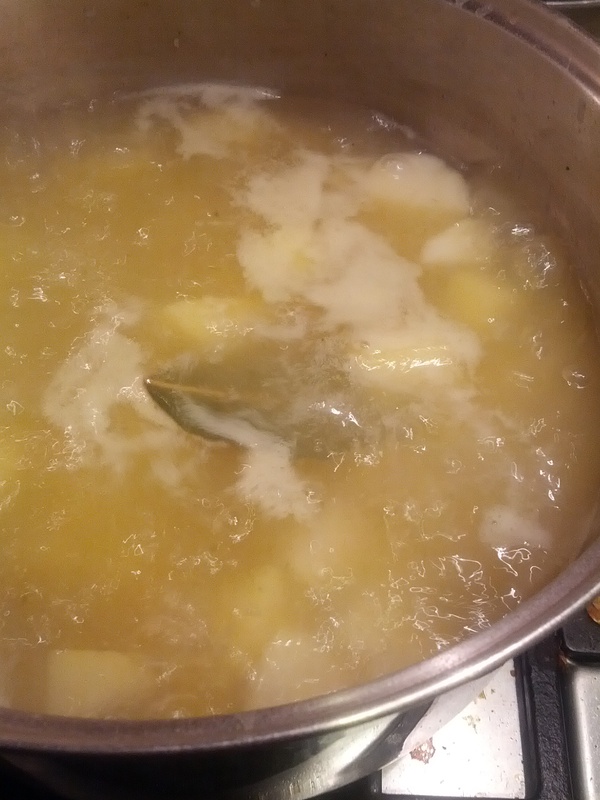 1) Bring to a boil the broth, potatoes, and bay leaf in a large saucepan over medium-high heat. 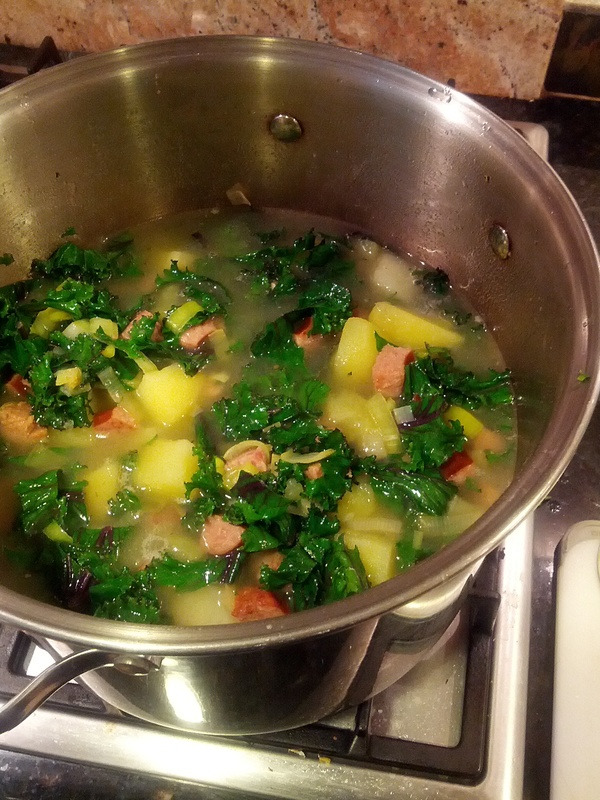 Reduce heat to medium-low and simmer until potatoes are tender, about 10 minutes. Discard bay leaf. Using potato masher, coarsely break up potatoes, leaving some large chunks. 2) Meanwhile, melt butter in Dutch oven over medium heat. 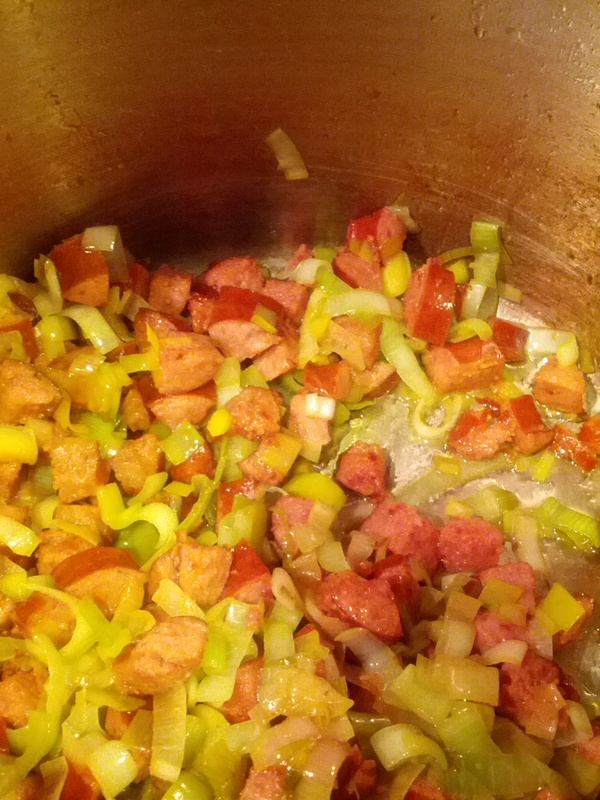 Cook kielbasa, stirring frequently, until lightly browned in spots, about 4 minutes. 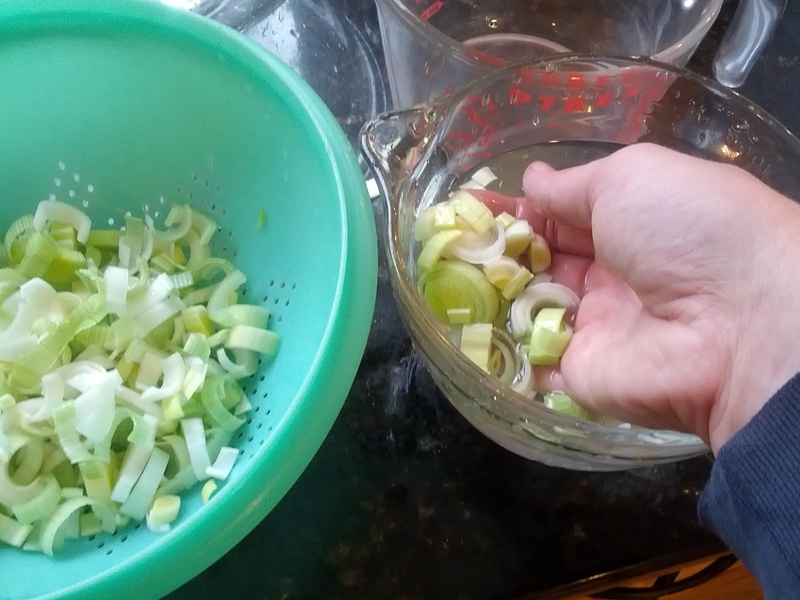 Add leeks and cook until soft, 4 minutes. 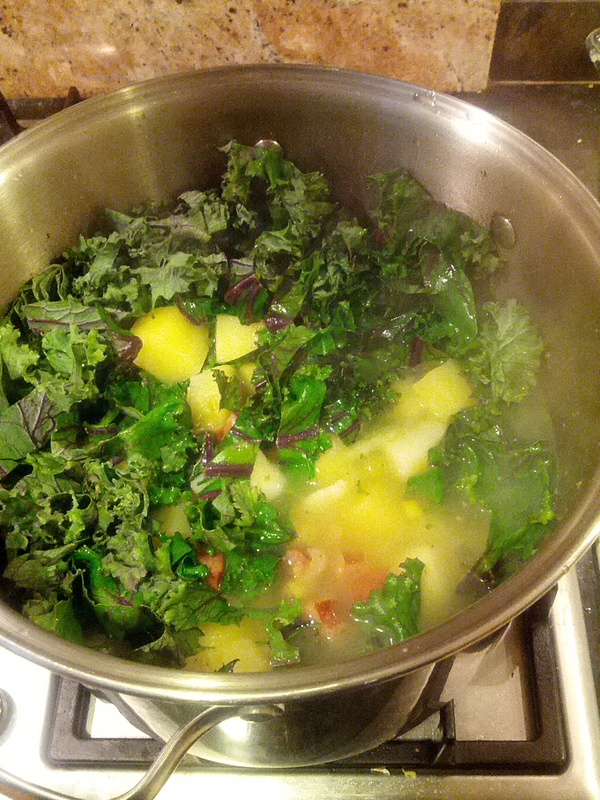 3) Add potato mixture and kale to Dutch oven and simmer until kale is tender, about 5 minutes. Season with pepper and serve.